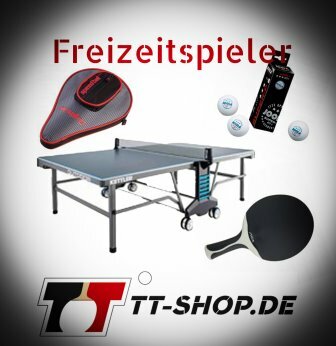 There are so many rubbers and blades available at the table tennis market that it is hard for many players to keep an overview. 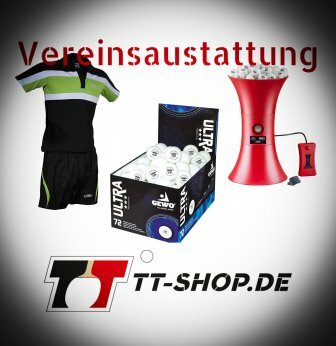 Because of our experience and research, we can recommend the following TT racket (bat) for the allround plus (ALL+) purpose. ALL+ or maybe OFF-? Find the perfect compromise – The Stiga Aurus Carbon! If you are searching for a TT bat for the modern allround-offensive game, you will be very happy with the Stiga Aurus Carbon. A real allrounder in terms of its Tibhar Aurus Soft rubbers, which allow controlled block and chopped balls, but also much and fast spin in your topspin. These outraging properties are supported by the Stiga Allround Classic blade. It offers both, control during passive activities (such as a classical allround blade), and impressive reserves in speed during active strokes. This is due to the two carbon layers placed within the blade. 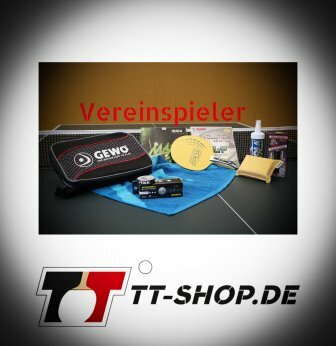 Hence, the table tennis blade Stiga Aurus Carbon is highly suitable for TT players who want to integrate the optimal compromise between allround and offensive strategies in their game. The development and refinement of this blade has its origin in the Allround Classic from the house of Stiga. Every table tennis player should know this blade and should have held it in her/his hand at least once. It is complemented with two carbon layers, causing a somewhat more direct and behavior, making it more suitable for the allround plus game. Stiga produces their best-sellers regarding the category "table tennis blades", which are known all over the world. The Stiga Allround Classic Carbon definitely belongs into this high-quality category. Besides the already mentioned very direct ball contact, it also provides a clear feedback of the ball when playing straight forward. This is quite unique! Best-selling rubber for the category All/OFF? The Tibhar Aurus Soft! There is a reason for the fact that this TT rubber is called allrounder. All techniques should be easy to perform with this rubber. Topspins are stable and safe, blocks reach their target in a safe and reliable way, shots are precise. For allround players with forward push, there are no disadvantages. Additional article on the Stiga Aurus Carbon? As it is handled with a table, cabinet or other products made of wood, those items are exposed to external influences, which wear them out. In terms of table tennis rubbers, it is the fact that they lose their grip and catapult effect in the course of time and actions. This makes it evident that rubbers must be replaced, not later than after an intense year of competitions. If you didn´t seal your blade before, you´ll risk to seriously damage your blade (ripping out parts of the veneer), no matter what technique you use or how careful you are. For this reason, we strongly recommend to seal your blade – either by the trader, or by yourself...it is not difficult). By sealing the blade as well as by additional protections (caring the rubber and storing the racket in a professional bat case) you´ll enjoy your bat for a long time.